The EUR/USD currency pair couldn’t start forming a descending impulse. 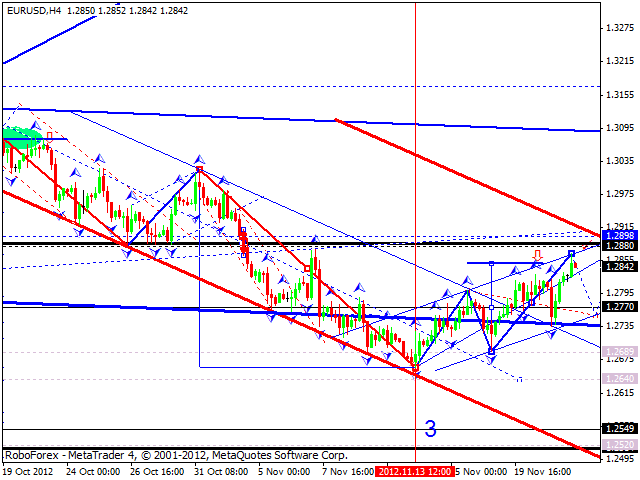 The price moved upwards and reached the target at 1.2850, the top of the third ascending wave. The pair is expected to fall down towards the level of 1.2770 and then grow up to reach the target at 1.2880 in order to complete a five-wave structure. The GBP/USD currency pair couldn’t continue falling down. 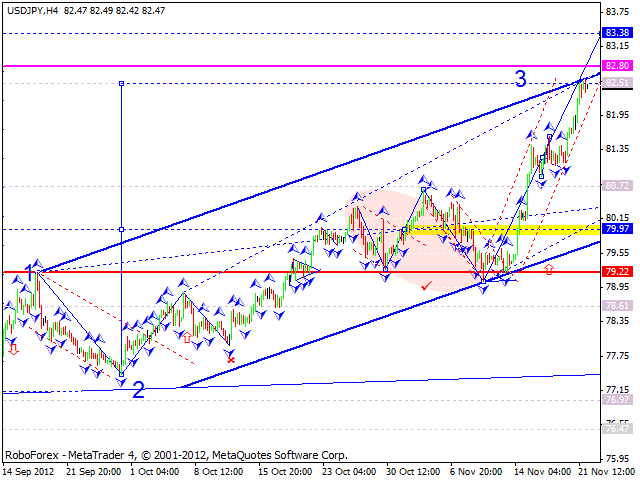 As a result we can see a consolidation channel near the level of 1.59. The price broke the channel upwards and reached a local target. Today the pair is expected to return to the level of 1.59 and then start growing up towards the main target of this wave at the level of 1.5980. The USD/CHF currency pair couldn’t start an ascending impulse. The price continued moving downwards and reached a local target. Today the pair is expected to return to the level of 0.9425 and the form another descending wave towards the target at 0.9340, thus completing a five-wave structure. The USD/JPY currency pair continues moving upwards. The market is reaching the targets of a correction, one by one. The maximum point to be reached by this ascending wave is 82.80, or may be 83.35 if it is expanded. 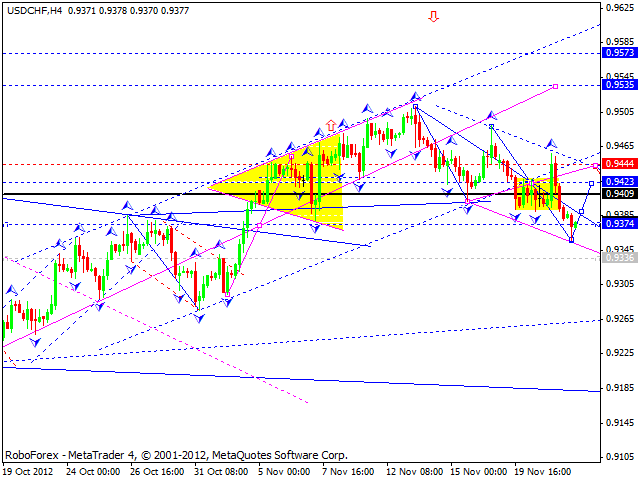 We should also note that the target of the pattern form the daily chart is at 84.50. However, the market hasn’t been able to form a pivot point for another part of the correction yet. That’s why we should expect the price to continue growing up. Australian Dollar eliminated the gap. 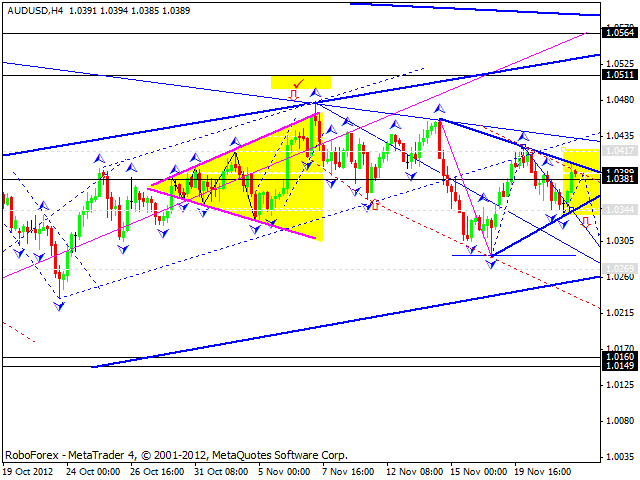 Today we can see that the pair is forming a new ascending wave with the target at 1.0417. The price is consolidating inside a wide trading range. 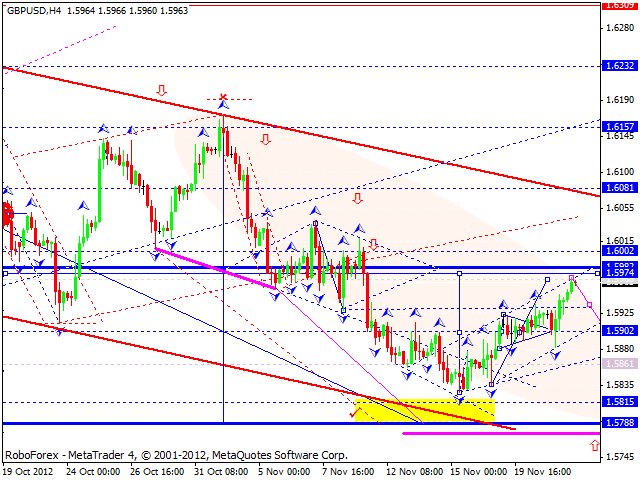 If the pair breaks the consolidation channel upwards, it may reach the targets at 1.0500 and then at 1.0560. If the pair breaks it downwards, the price may reach the level of 1.0270. 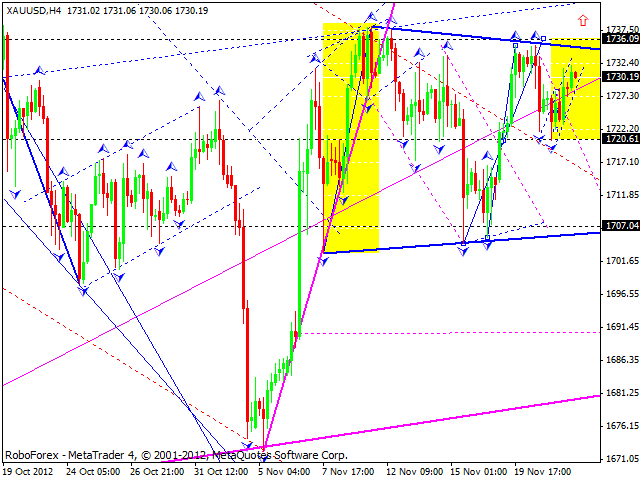 Gold is forming a wide consolidation channel, right now it is moving towards its upper border. If the market breaks the channel upwards and from a continuation pattern, the price may reach the level of 1760. But it will be much better if the price breaks it downwards and reached the level of 1707.